When you're helping your child stock the kitchen in their first apartment, there are a few essentials you'll want to make sure they have. Celebrity chef and author Rocco DiSpirito reviewed kitchen necessities for young adults when he joined me on Mondays With Marlo. 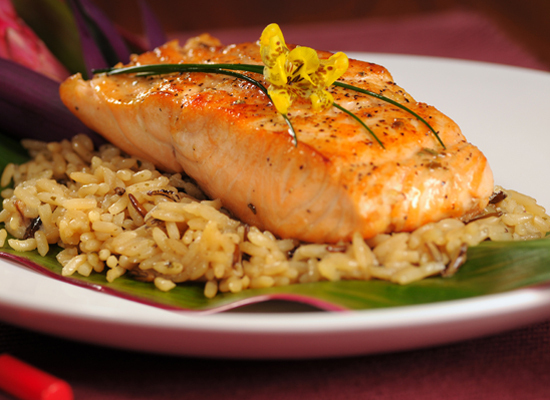 Salmon is delicious, healthy and broils in eight minutes. Make a quick glaze with agave nectar, mustard, miso and orange marmalade. Mix the ingredients together to your taste, slather the top of the salmon and cook. Let it broil and burn on top. It will be nice and juicy on the inside.